I was super duper excited, and shockingly so were the kids, to come across the very awesome SUMMER BRAIN QUEST!!! 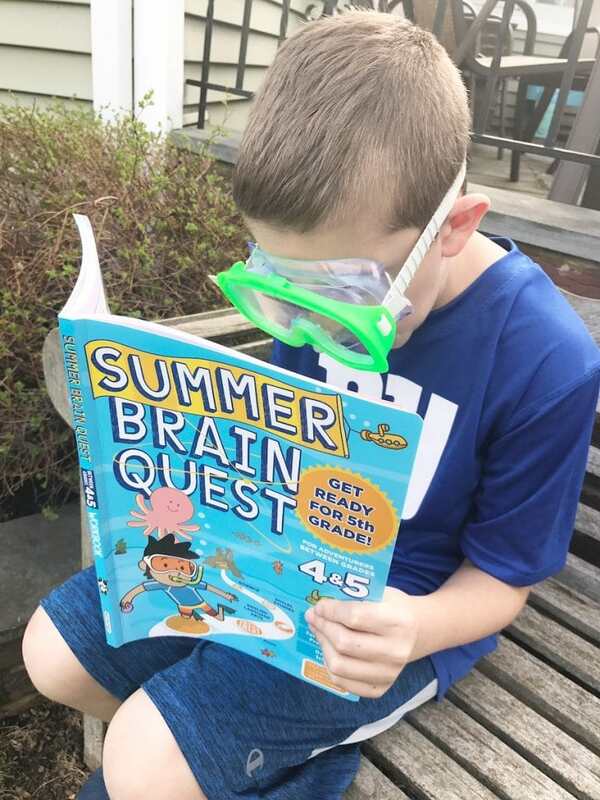 Brain Quest has joined the fight against the slide with workbooks targeting each summer between kindergarten and 6th grade. 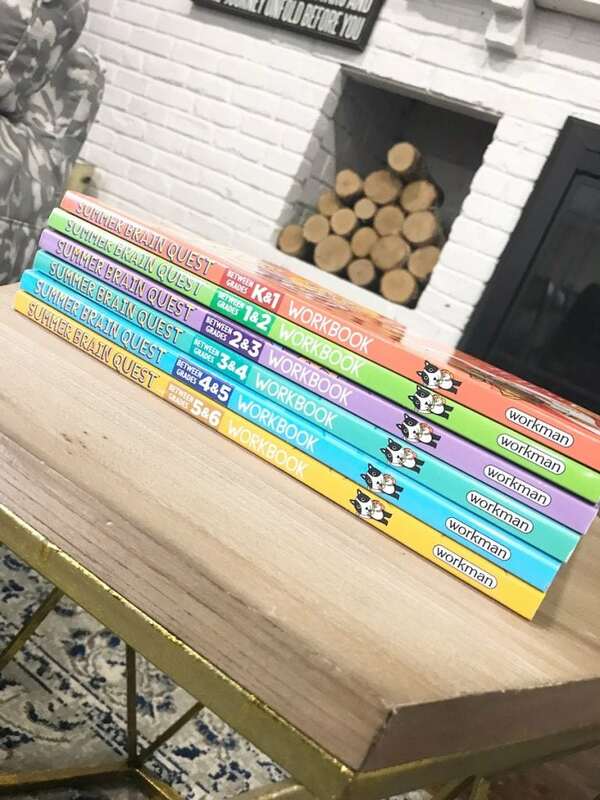 These books are a super effective new tool for parents, homeschoolers, tutors, and teachers alike. It’s a game changer and a lifesaver for the Sweeney household!!! 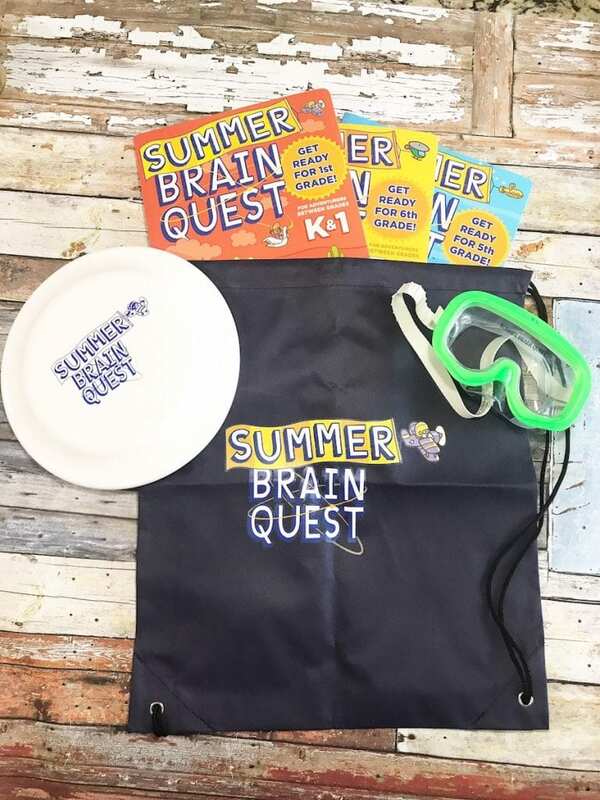 SUMMER BRAIN QUEST offers a one-of-a-kind learning experience that delivers personalized learning for every type of kid. Personalized learning is an educational method where exercises are tailored to each child’s strengths, needs and interests, ensuring they have a say in how they learn with getting enough practice of the fundamentals. My kids absolutely love these books because they are structured like a game, so it doesn’t FEEL like schoolwork. Each book includes a pull-out map that guides kids on a learning quest. They fill in their route on the map by earning stickers for completing workbook pages as well as pursuing outdoor activities. The map offers a choice of routes, allowing kids to customize their learning path and pursue what excites them most (extra math problems? more hands-on science? ), and also encouraging them to jump around within the book to follow their curiosity. This is a win, plain and simple. 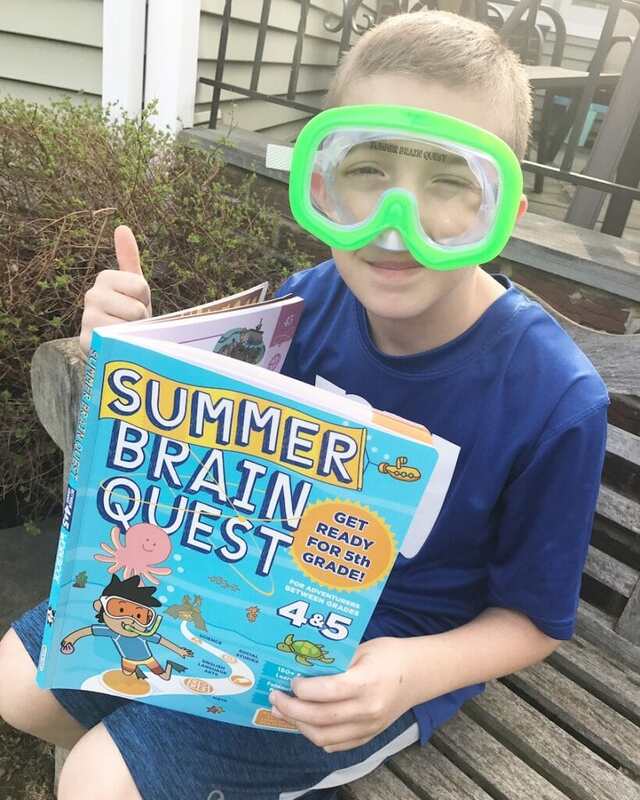 Each SUMMER BRAIN QUEST workbook has been created in consultation with an award-winning teacher specializing in that grade and it always aligned to Common Core State Standards, Next Generation State Standards, and state social studies standards. Don’t worry, these guys did their homework!!! Giveaway open to US addresses only. Prizing and samples provided by Workman Publishing. 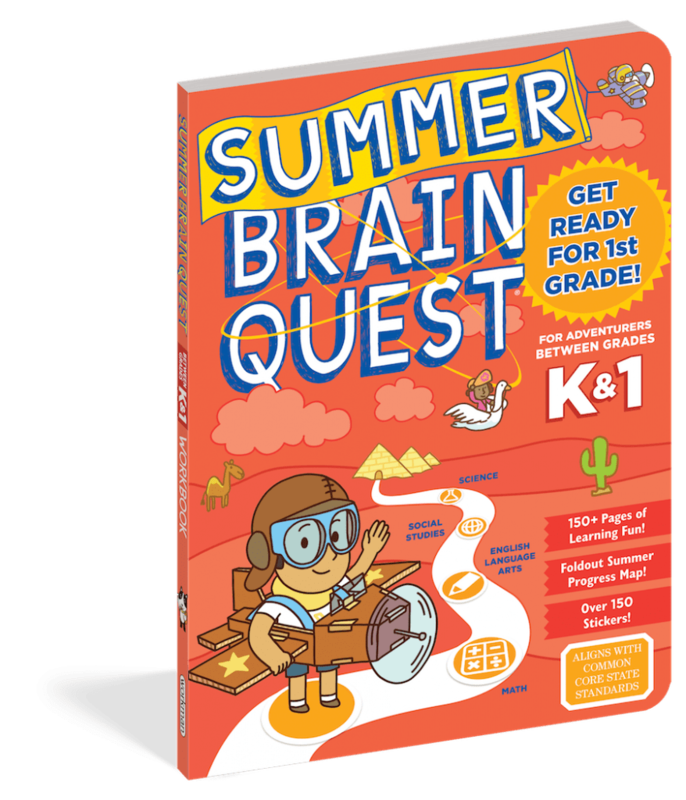 SUMMER BRAIN QUEST is an exciting new extension of the beloved and #1 best selling Brain Quest brand (with 45 million copies in print). It’s on sale now!! Go get it right now!! It will be a world of help to you and your kids!! This is sponsored post in partnership with Workman Publishing. Brain Quest sounds great! The summer slide is so real. I see it every year! I need to get Brain Quest for my youngest over the summer. She is super smart, but even she loses some of what she learned over the summer. I was a teacher and the summer slide was so real. This is great for keeping kids sharp and ready for the next grade. This is awesome!! A great way to keep your kids busy this summer! I used Brain Quest with my older kids when they were growing up. It’s been around for a while and we love it! This is going to keep the kids busy learning and discovering even during the summer. I love this. I have to get some for the nephews and nieces. I think these Brain Quest books are a great idea. It would make the kids get ready for the next school year. The activities in these book will make it more fun and the kids would not feel like they are back in school during the summer. We participate in our local library’s summer reading program. This sounds like an awesome set of books. Definitely perfect for the summer or even throughout the year! I’ll have to check this out. We use the library programs during the summer to keep the kids sharp.